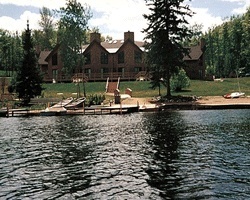 Only a half mile away from Nicolet National Forest and along the shores of Spectacle Lake lies *Nicolet Shores* resort. 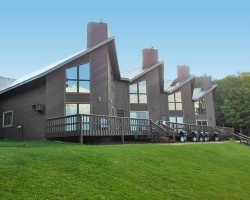 This resort serves as a gateway to the excitement, beauty, and serenity of Wisconsin's northern lakes region. From the resort grounds guest can access Lake Spectacle's sandy beach or its boating and fishing areas. Nicolet National Forest offers an abundance of hiking trails, picnic spots, and wildlife observation. Visitors can also take advantage of the area's downhill and cross country ski trails during the wintertime. At the resort, enjoy top-notch amenities such as a heated indoor pool, racquetball court, exercise and weight room, game room, whirlpool spa and sauna. For more information about this resort, visit www.nicoletshores.com. Week 22, early June- the perfect time of year to experience Wisconsin's northern lakes region! Week 39 in a 1 bedroom suite with loft!